In this video, Tapemark Engineer Karl Ziefelhofer explains our primary packaging capabilities and different functions. Regardless of your product is or what your packaging needs are, we are confident that we can find a way to work together to figure out the best packaging option for your product. Watch the video below to learn more. [Transcript] "Hi, my name is Karl Zwiefelhofer. 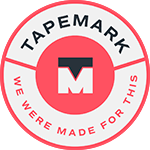 I'm an engineer here at Tapemark, and today I'm going to talk a little bit about primary packaging. So a primary package is the individual sealed pouch that contains an individual dose of a product, and with these, we know a few different options with how they function. We have a peel open pouch, which is designed to open along the pouch seal. Also have a tear open, which usually has a notch and is designed to tear across the pouch. So with these, we can do a few different things with child proofing and also with making them easier to open for patients that have difficulty with fine motor operations. For any primary pouch we print a lot of information and an expiration date and regardless of what your product is or what your package needs are, I'm confident we can find a way to work together on what's going to be right for you and your product. Thank you."